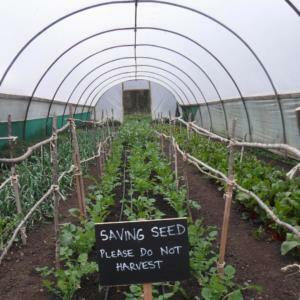 Together with the Land Workers’ Alliance East Anglia and kindly hosted by the Greengrow Co-op, Gaia will be holding a Seed Production workshop on Saturday 22 July. The training will be focused on more advanced seed production skills so some seed saving experience will be useful although those with growing experience who are new to seed production are also welcome. Hans Steenbergen from the Seed Co-operative will be giving the training and in addition to discussing practical seed production skills he’ll also talk about opportunities to grow commercial seed crops for the Seed Co-op. There’ll also be time to ask questions, share experiences and discuss potential for future activities to support seed growing in East Anglia. The event will be from 10:00–16:00 at Greengrow Co-op (http://www.greengrow.org.uk/visit/directions), NR34 8HR. If you’d like to take public transport to nearby Beccles please let us know and we may be able to arrange a lift from there to/from the farm. The training is free but we ask all interested to please register via email to page@gaianet.org. We also ask all those attending to please bring something for a bring and share lunch.